Picture a dense and healthy forest of Joshua trees covering a vast and quiet open space. Then broaden your focus to encompass magnificent views of the Grand Wash Cliffs at the western end of the Grand Canyon. Come explore and enjoy this amazing area ! A heartfelt thank you to all of the 2019 Joshua Tree Festival participants and visitors. 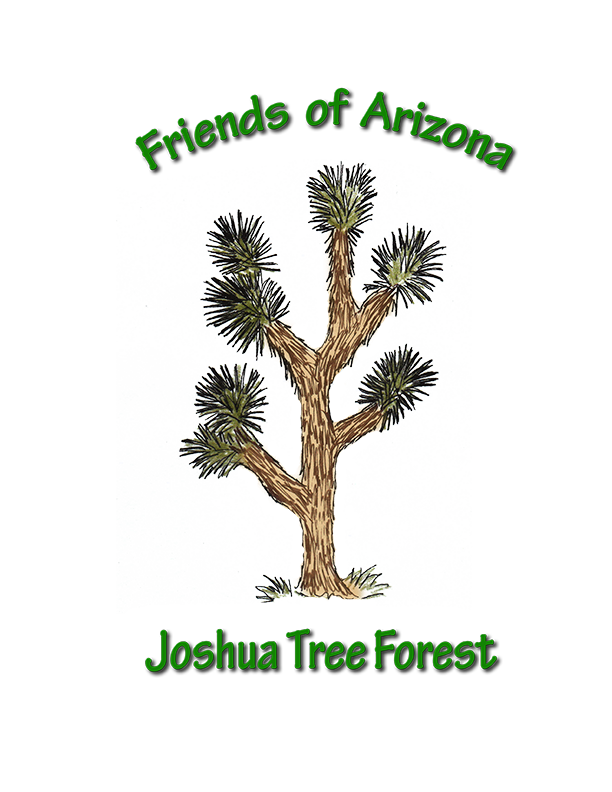 The board of Friends of Arizona Joshua Tree Forest would like to give a special thank you to the amazing festival committee for all their hard work and dedication to make this years Festival a big success. The Joshua trees are starting to bloom very early. They generally start blooming in March or early April. On October 24th members of our Friends group met with USGS Research Biologist and members of his staff to establish our third permanent study plot. After a meeting to discuss the procedure and the latest research updates we proceeded to the study site. Our goal is to create at least two permanent plots per year to gather data that will be sent to Todd and used in the Joshua Tree research projects that are ongoing. Thank you to all of the volunteers that participated and we look forward to seeing you again at the next permanent plot setup.